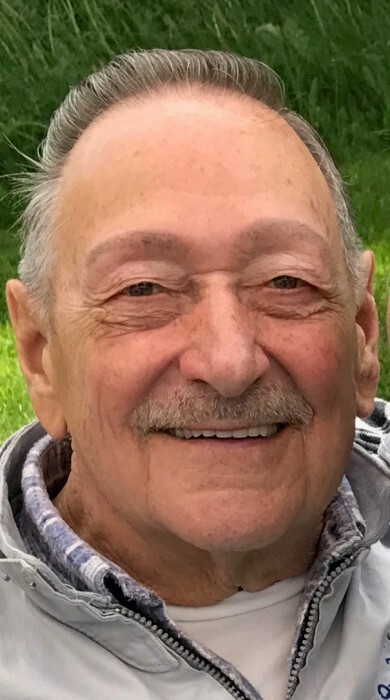 Don Budnick, age 88, a resident of Earl, Wisconsin, died on Monday, April 1, 2019, at the Maple Ridge Care Center in Spooner, Wisconsin with family at his side. Donald R. Budnick was born on February 2, 1931, in Chicago, Illinois to parents Anton and Marie (Kulpinski) Budnick. The family lived in various cities while Don was growing up as his father worked for the railroad. Those places included Ladysmith, WI, Ihlen, MN, Minneapolis, MN, Oak Grove, MN, Gordon, WI, and Springbrook, WI. He attended Edison High School in Minneapolis prior to his service in the US Navy during the Korean War from 1951-1954, serving on the USS Dashiell (DD659) as a Machinists Mate 3rd Class. On August 18, 1956, he was united in marriage to Grace Metzger in St. Cloud, MN. While in the Navy he was trained in boiler systems, which after his discharge, he would make a career. Don worked as a boiler operator for Methodist Hospital in Minneapolis, Minneapolis/St. Paul Airport, and for the Ford Motor Company in St. Paul for nearly 30 years until his retirement in 1992. Don loved fishing with his family including fishing trips to Canada. He also enjoyed hunting, camping, atv-ing, and restoring old stationary hit and miss gas engines. He also loved telling stories about his Navy days. Many many good ones, funny and sad, and everything in between. He will be remembered for this 4th of July parties, playing cribbage, cards, and especially the “dumb game”. Don is survived by his children: Karen (Tim) Talbot of Anoka, MN, Jeff Budnick, of Maple Lake, MN, Greg (ChongOK) Budnick of Peyton, CO, Cheryl (Larry) LaPlante of Esko, MN, 3 grandchildren: Jesse Talbot, Joe (Jolene) Talbot, Jodi Claflin, 3 step grandchildren: Becky (Justin) Lehto, Dan (Becky) LaPlante, Arnie (Courtney) LaPlante, 5 step great grandchildren, and brother Robert (Sandy) Budnick of Green Valley, AZ. Don is preceded in death by his wife Grace Budnick, parents Anton and Marie Budnick, and brother Rudolph “Rudy” Budnick. A Celebration of Donald Budnick’s life will be held on Saturday, April 27, 2019, at 11am, at the Spooner Funeral Home, in Spooner, Wisconsin, with Deacon Joe Wesley officiating. Visitation will be at the Funeral Home on Saturday from 10-11am. Interment will be at the Greenwood Cemetery in Minong, Wisconsin. In lieu of flowers, memorials in Don’s name would be greatly appreciated to Lakeview Medical Center - Hospice Care - 2304 S. Main, Rice Lake, Wisconsin 54868, or Maple Ridge Care Center - 510 1st St, Spooner, Wisconsin 54801. There's still time to send flowers to the Visitation at the Spooner Funeral Home from 10:00 AM to 11:00 AM on April 27, 2019.